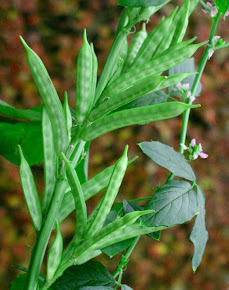 GUAR GUM INFORMATION AND GUAR GUM CULTIVATION IN INDIA: Guar Seed ( Gaur Gum ) arrival increased in the market. 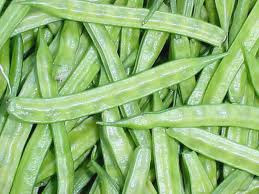 Guar Seed ( Gaur Gum ) arrival increased in the market. After the re listing of Gaur seed and Guar Gum in the forward market, there is regular downfall in the rate of both commodities. Farmer and traders are not looking the rise in the price. The farmer were holding and arrival was very poor in the market on the exception of rise in the price after re listing of guar seed and guar gum in the forward market. Now the arrival of Guar seed is increasing slowly and slowly in the market from farmers. Due to this arrival the rate is sharply going down. There is 16 % down fall in the price of guar seed and guar gum after re listing of guar seed and gum in forward market. On May 14 the rate of Guar seed was around INR 9,700/-/ 100 Kg It has come down up to INR 8000/- / 100 Kg up to yesterday. Is this loos for industry or it is good for industry. The rate are moving toward the stabilization. This is very good for teh whole industry. A stable market will attract more investment. 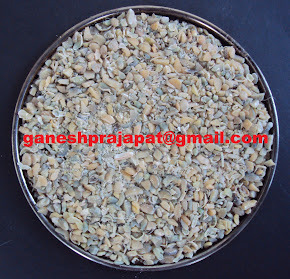 In long term the industry will get benefit form the stable rates of guar seeds. The farmers and growers need nto worry about this downfall in the rate. The activity was suppose to be happen from October to January. But due to tight supply of guar seed from the farmer to market did not let it happen. This is a regular circle activity of the guar business, after the production rates comes down for 3-4 months. Because farmers are having the stock now they require the money and they are converting commodity into cash, hop that this will continue up to 5-6 months. Now the farmers need money for sowing of the Kharif Crop. This is also the marriage season North India which will continue up to July -August. In the next month, the school and college will start from farmers will need money for the admission of the young generation. There will be more pressure of arrival of commodity in the market. After 4-5 month the New crop of Guar will come and that will saturate the market. Side by side some production will arrive from the summer crop and some new area of Guar cultivation like Guajarat, Andhrapradesh, Tamilnadu and Maharashtra. Right now the arrival of Guar ( Guar Gum) Seed has increased up to 60,000- 65,000 bags / day in last 2-3 weeks. in the physical Mandi ( Grain Market ). It is expected that this year the area of Guar cultivation will increase 20-25 % than the last year and there will be 6-7 million bags more production than last year. Now the Importers are ignoring the long term contract they are preferring the short term contract as per their demand. Due to this activity there is no sudden increase in the demand but in the volumatric terms the demand in stable and regular. In financial term this year ( 12-13) India has earned more foreign currency from Guar Gum export in-comparison to last year ( 11-12). It is expected that this year demand will increase in comparison to last year. This demand is very less in comparison to the arrival of commodity into the market. This activity of arrival of commodity to the market will continue for next 7-8 Month. The normal and good monsoon will continue to pressurize the rate of guar rate toward downside. This is process of adjustment of equation between supply and demand. The rate of Guar will stabilize in this process. This is good for Industry. Guar ( Gum ) Cultivation and Its Importance.